A driver sitting in an I.S. 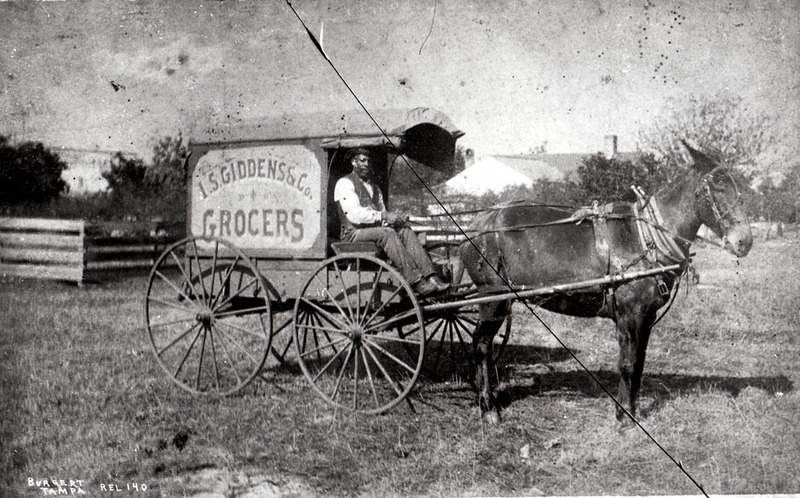 Giddens and Company horse-drawn grocery delivery wagon. Hmm Probably related to this company also. I wonder what products or services they offered. Thanks, thats great how you found that. Love this picture. My NUNEZ married into the GIDDENS. Two prominent families in Tampa at that time.